The firm behind Beijing’s Bird’s Nest, New York’s Parrish Art Museum and Miami’s Pérez Art Museum is bound to create a cutting-edge building for the Vancouver Art Gallery that will become a downtown icon. Yesterday, the Vancouver Art Gallery announced its selection of Herzog & de Meuron to design its new gallery – a 27,870-square-metre building that will house collections, exhibits and programs and also be a cultural hub in the city’s downtown. 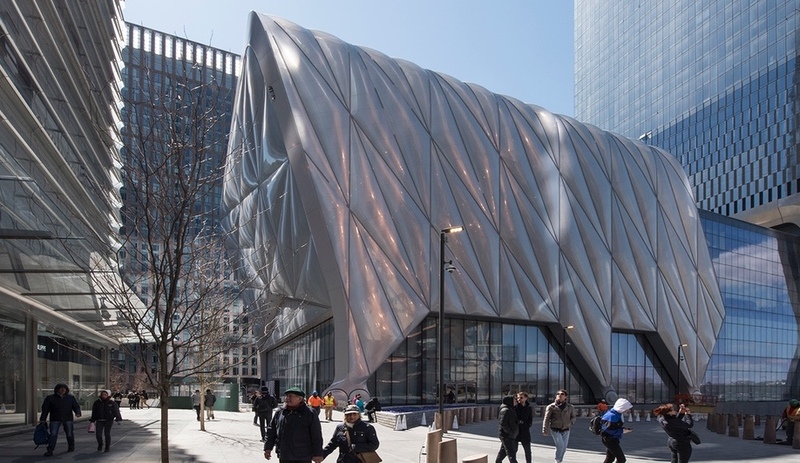 Chosen among such illustrious firms as New York’s Diller Scofidio + Renfro, Tokyo’s SANAA, and Toronto’s KPMB, Herzog & de Meuron is one of the world’s most inventive studios. 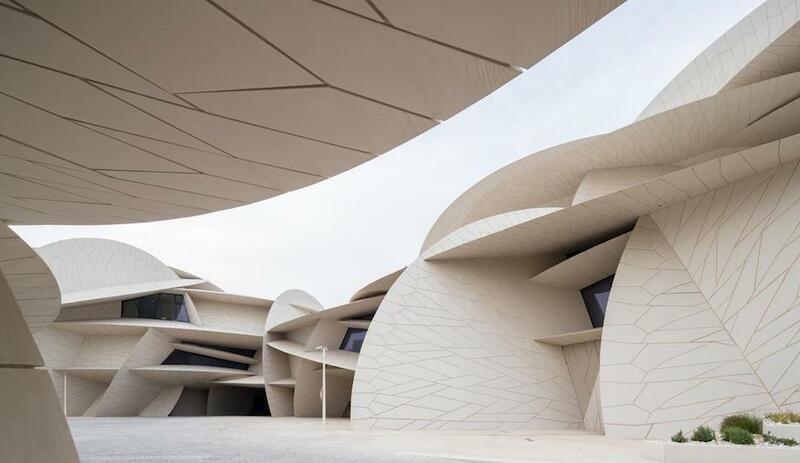 While conceptual drawings won’t be revealed until early 2015, the Architect Selection Committee made its decision after conducting in-depth interviews with all the shortlisted firms and visiting the sites of their most significant projects. 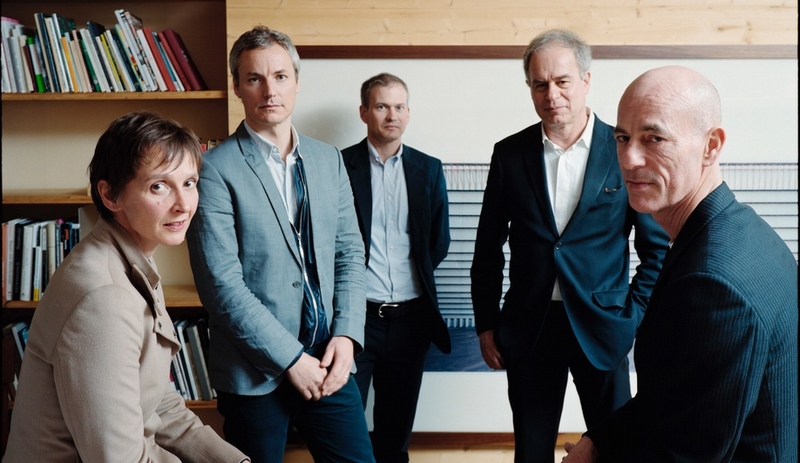 On that note, here are five reasons why Vancouver can expect something great from the Basel-based firm run by Jacques Herzog and Pierre de Meuron. When designing the National Museum for China (shown), ahead of Beijing’s hosting of the 2008 Summer Olympics, the firm collaborated with Ai Weiwei, their artistic consultant, long before he was a global household name. 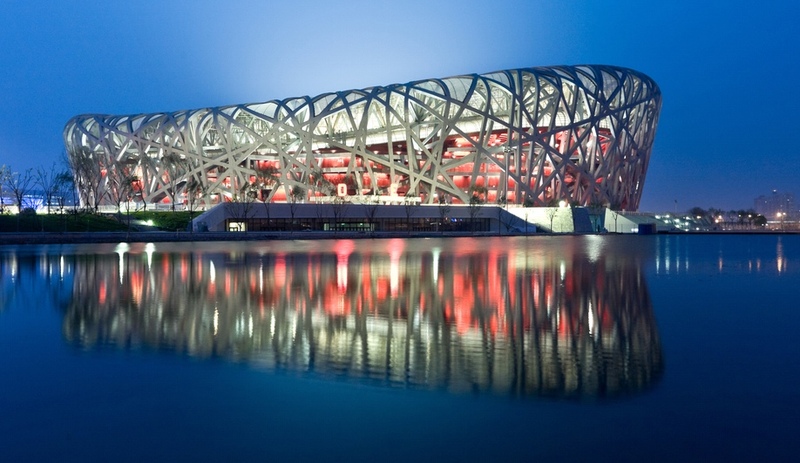 Together they hatched the Bird’s Nest, a steel-framed bowl whose construction process Ai would obsessively document through photographs. After that seminal project, Herzog & de Meuron worked with Ai on a more conceptual work – the 2012 Serpentine Gallery Pavilion in London. The firm is artsy in its own right, and will create the 14 Rooms, wherein 14 performance pieces will be staged, at Art Basel in June. The tower-and-podium model will just have to take a rest. Herzog & de Meuron don’t do your typical steel, concrete and glass buildings, nor spartan white cubes for containing art. In designing the de Young Museum in San Francisco, for example, they imagined a low-slung structure consisting of three horizontal volumes, clad in perforated copper cladding and punctuated with a 44-metre-tall tower. 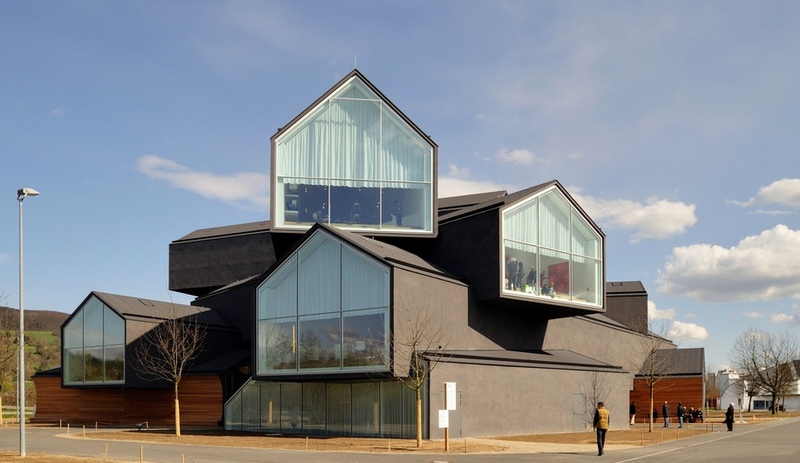 When they look to iconic forms, they do so from a novel perspective, as in their VitraHaus (shown) in Weil Am Rhein, Germany, and their Parrish Museum in Water Mill, New York, both of which transform the inviting peaked roof into a breathtaking motif. Their facades are sites of experimentation and play. 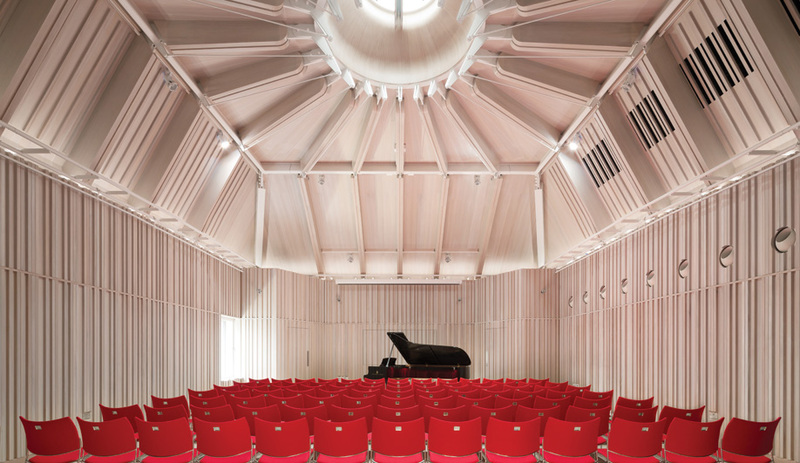 For the Laban Dance Centre, located in south-east London, they conjured a sense of ephemeral atmosphere from a rectilinear mass. 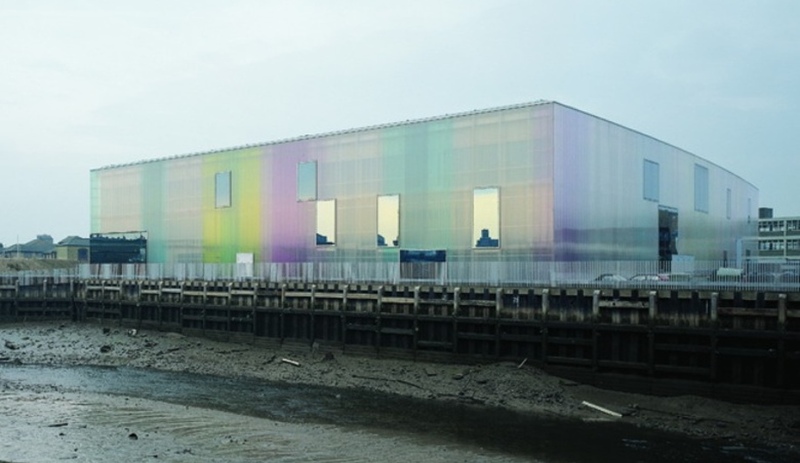 On this project they also worked with an artist – in this case, British painter Michael Craig-Martin – to bring diaphanous colour to the facade, installing pastel-hued polycarbonate panels over the translucent glass curtain wall. On the inside, the colours delineate the variously programmed spaces, while on the outside the building is like a rainbow that looks golden at sunset. Vancouver can expect a work of architecture that responds to its particular context, rather than an iteration of a signature style dashed off on a napkin. Herzog & de Meuron don’t propagate a one-shape-fits-all form. 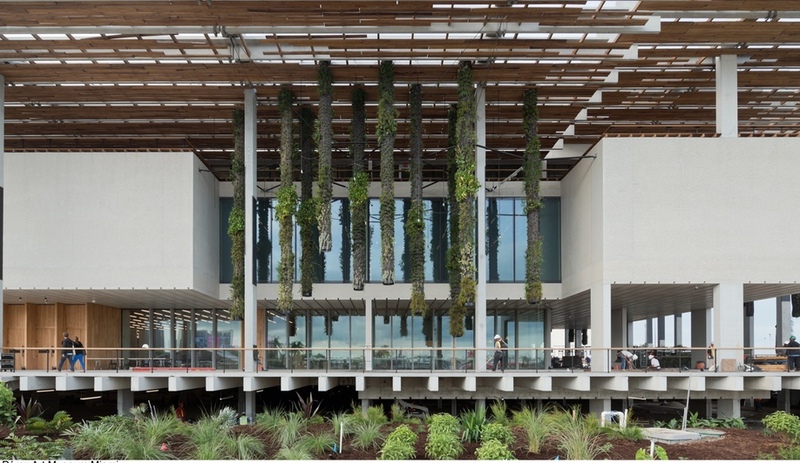 For the Pérez Art Museum, rather than riffing off of Miami’s Art Deco buildings to devise an ornamental box, they reinterpreted the place itself – including its warm weather and plant life – and came up with a veranda-like gallery that reimagines the dialogue between interior and exterior, and incorporates nature throughout. The most impressive feature: plant columns that hang from the pergola roof. 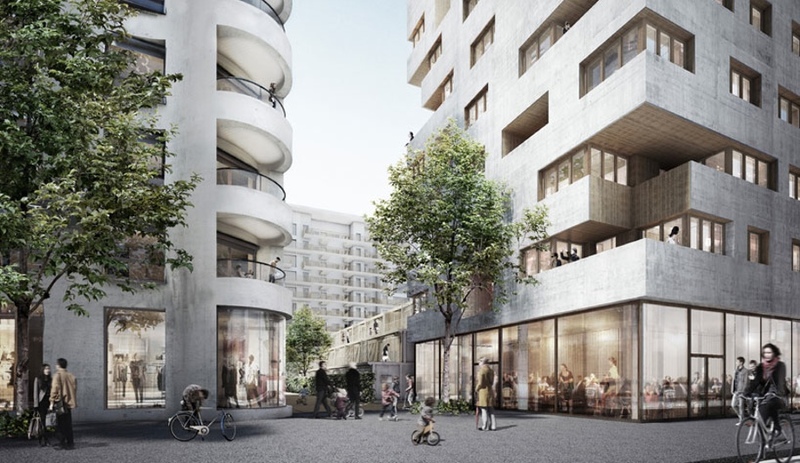 Beyond connecting buildings to their immediate surroundings, the firm has also recently unveiled a master plan for Lyon, France, geared towards pedestrians. Working with the landscape architect Michel Delvigne, the high-density residential neighbourhood will be organized around lushly planted transportation routes and will also be home to mixed-use retail and cultural amenities – including a central park. This kind of bigger-picture thinking bodes well for Vancouver.